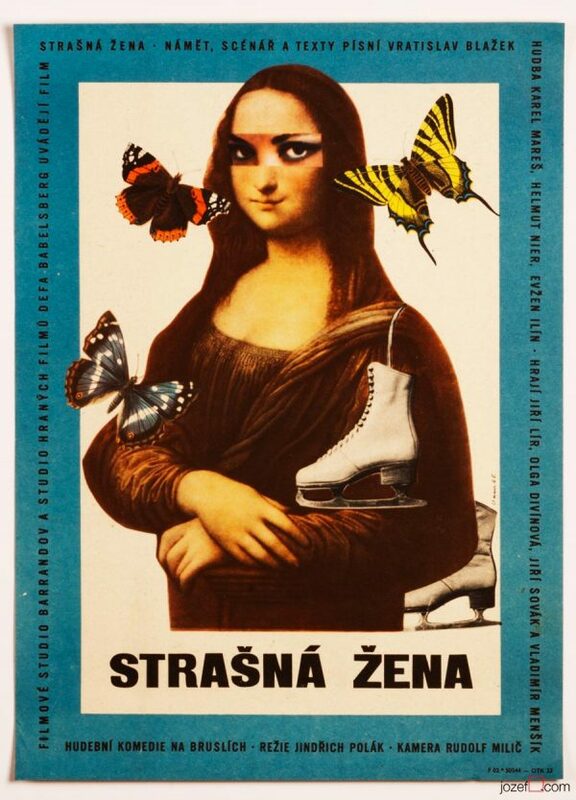 Movie poster for 70s psychological drama by Czech award winning artist Karel Vaca. Minimalist movie poster design by Karel Vaca. Poster is folded into quarters. Slight crease with several tiny cracks and soft stain on edges and folds. Two 1cm cracks and tiny holes in the middle fold. 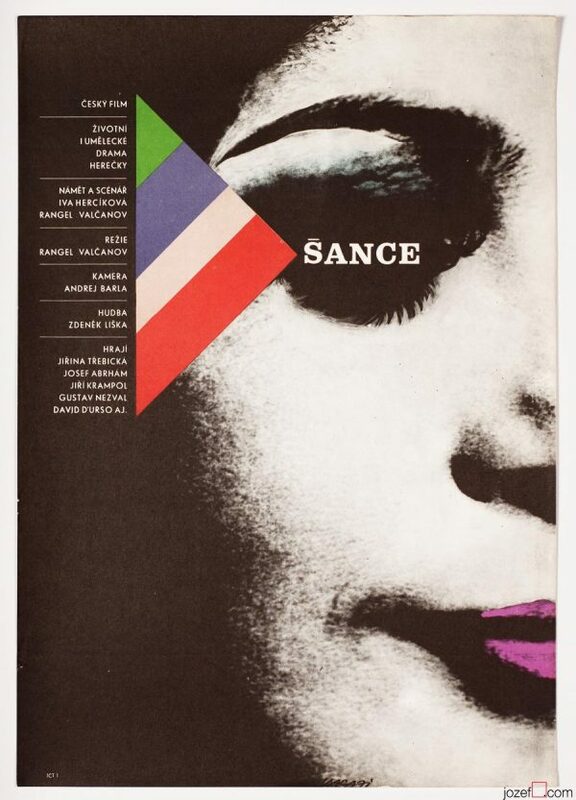 Soft diagonal folds visible across the poster. Bit of writing with stain/dust across the folds and edges at the back. 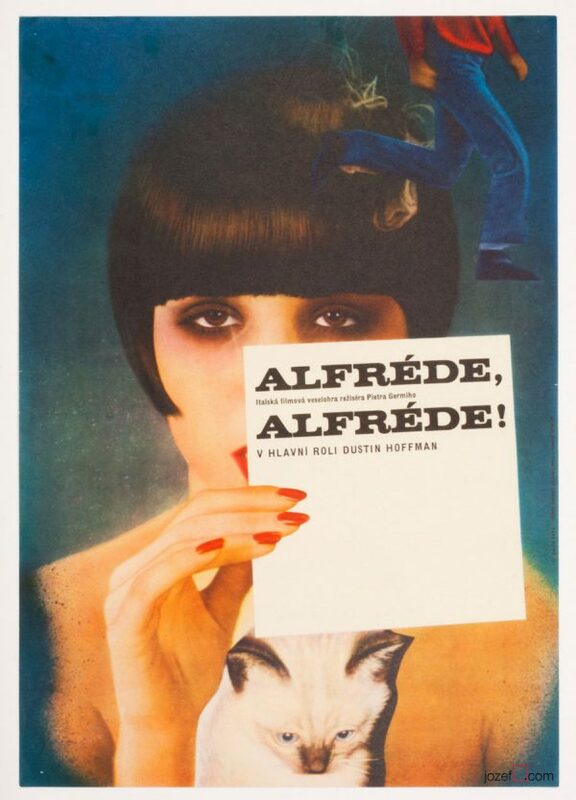 Movie poster is in large A1 format (83.3 x 57.1 cm). Very nice condition. 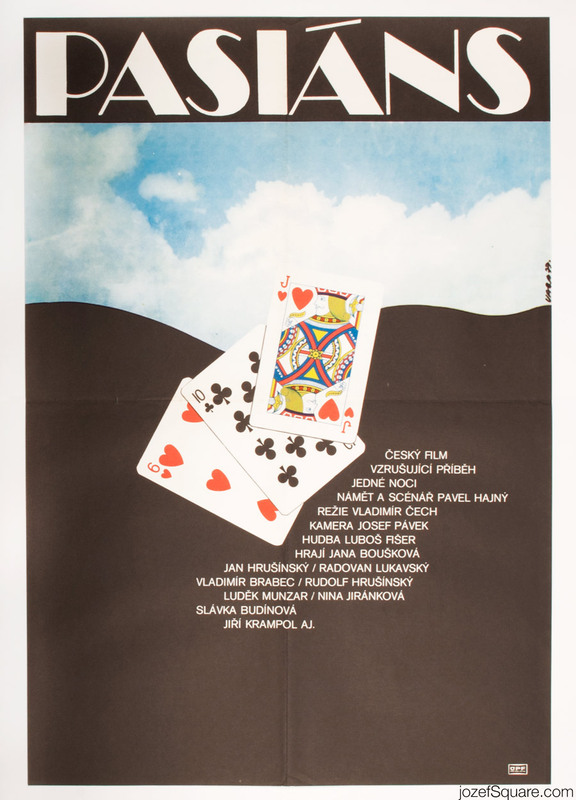 70s movie posters available in our archive. 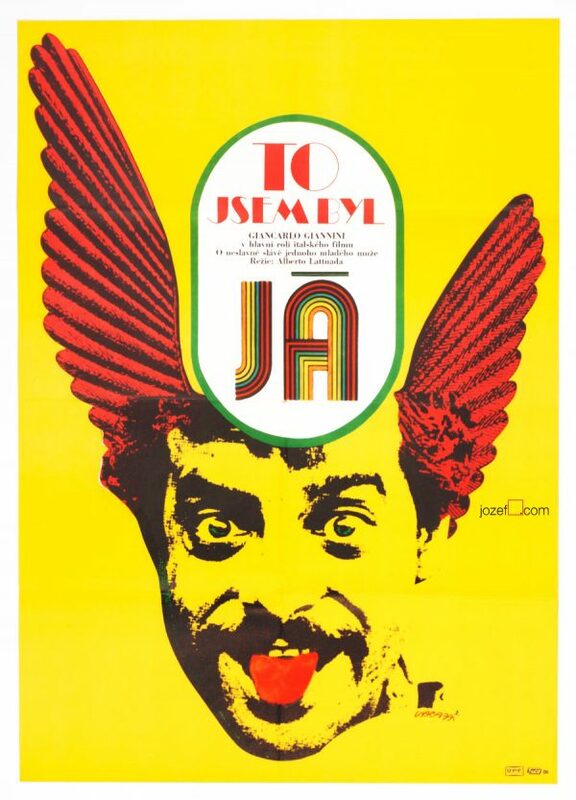 Be the first to review “Movie Poster – Pasiáns, Karel Vaca, 1977” Click here to cancel reply.